There’s a revolution on the road ahead and it’s picking up speed. Just a few years ago, order-by-phone car services like Uber and Lyft were a novelty. Today, they’re more like a necessity – so much so, that along with technological advances, the idea of driverless cars is no longer the stuff of science fiction. In fact, they’re coming. With changes in the road ahead, it’s only natural for them to have an impact on nearly every industry, including the commercial real estate market. First and foremost, with an increase of car services – either with a driver or without one – there will be less of a need for building tenants to lease parking spaces in garages, no matter if that garage is beneath an office building or in a nearby location. As a result, revenue garnered from parking spaces will decrease for the landlord. Rather than paying a monthly fee for a space, commuters and tenants will likely direct their money toward affordable transportation plans. In addition, developers will have a chance to redirect their commercial investment funds. Instead of budgeting for garage space, dollars could be spent in other areas of the building, such as an enhanced lobby, security systems, or expanded office space. When more commuters arrive to work via Uber, Lyft, or a driverless car, the question for developers is what to do with the front of the building. Fewer tenants will enter the building from the garage. Instead, the front of the building will become even more of a hotspot. Landlords and developers will have to address morning traffic flow so there isn’t a jam at the start of the workday. Similarly, at the end of the workday, building lobbies will become a hive of activity as tenants and commuters congregate to catch their waiting car. The front area of buildings may have to feature a holding pen for arriving vehicles, while the lobby may have to look more like an airport terminal with shops, cafes, lounges, bars, and charging stations to keep commuters occupied and entertained until their ride home pulls up. In addition, these areas could generate additional revenue. Inevitably, there will still be diehard drivers who will need a place to park – but what about all of the additional square feet now available for something else? According to Commercial Tenant Resource, today’s ratio of 3-4 spaces per 1,000 square feet of office space could potentially drop to 0.01 spaces per thousand. This is where creativity and ingenuity will have to take the wheel. For starters, on-premises garages could be designated as holding pens for car service vehicles, or something more. Retail space? Gyms? And let’s not forget about parking garages, very often located in prime locations. They – or the property on which they stand – can be repurposed, perhaps as a combination of commercial and residential real estate. 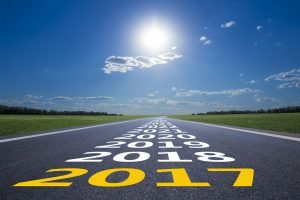 Morris Southeast Group is excited about the road ahead and the changes and challenges it will bring to the commercial real estate marketplace. For a free consultation on how you and your current or future properties can keep up with the changing times, you can reach our team at 954.474.1776, or call Ken Morris directly at 954.240.4400 or via his email, kenmorris@morrissegroup.com. With mobile Internet access having overtaken desktop access in 2014, according to comScore, it’s no surprise that apps are becoming more popular for all professions – including the commercial real estate industry. 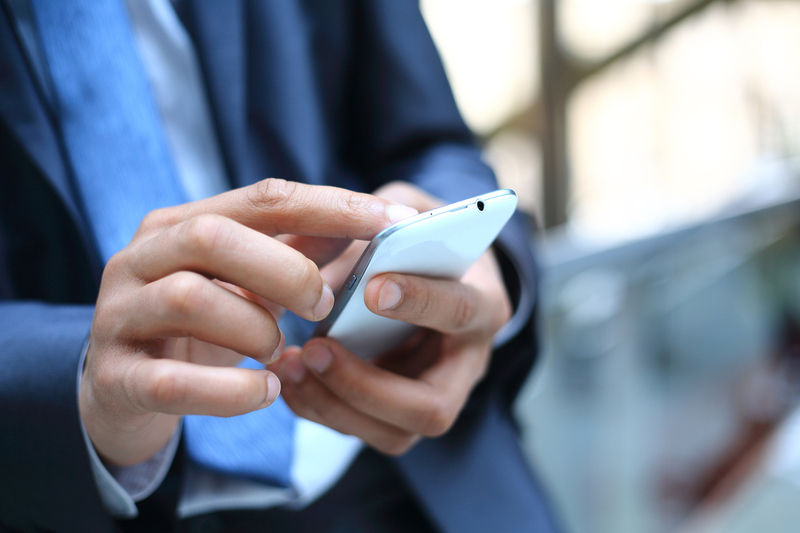 These apps allow both investors and agents to perform much of their work right from their mobile devices. Gone are the chains that once tied most working professionals to their desks. LoopNet Commercial Real Estate Search – If you’re looking for a commercial property to buy or lease, LoopNet offers a Commercial Real Estate Search App that is available on Android and iOS devices. It grants easy access to more than 800,000 commercial real estate listings from anywhere utilizing LoopNet’s sophisticated search options and filters. Yardi CRM Mobile – With Yardi CRM Mobile, users can access all of their Commercial Property Management data while on the move, helping brokers and other commercial real estate personnel to better serve their clients. Visual Lease – This tool offers an easy to use, web-based lease management platform that is accessible across all mobile devices. Visual Lease gives brokers and investors a one-stop spot for complete lease management and administration. Angus Mobility Platform – Angus Systems has been providing mobile work order solutions since 2000. Their platform is supported on all mobile devices and allows property management teams to manage work orders between managers, supervisors, vendors, and tenants. The Angus Mobility Platform allows real estate professionals to cut down on the massive amount of paperwork that has been synonymous with tracking work orders for decades. Tenants and business occupants can place service requests from any Android or iOS device and easily follow the status of these requests. Property Capsule – With Property Capsule, commercial real estate agents can access their leasing portfolio from any mobile device to show potential tenants. Agents can display detailed information about their listings, such as floor plans that automatically change based on new tenant information, automatically-generated flyers, and much more. Property Capsule also gives agents one place to store pertinent information such as property photos, plans, property data, and important documents. In turn, when any information changes, it’s automatically updated everywhere. Are you taking advantage of the technology that helps drive commercial real estate? Whether you’re a tenant looking for a new office space or a real estate investor looking for your next deal, stay up to speed with the latest mobile apps catering to the commercial real estate industry. These tools can help secure a favorable lease, find the next great real estate investment, and stay on top of your current portfolio. If you’d like a bit of assistance when it comes to marrying technology and commercial real estate, don’t hesitate to reach out to the agents at Morris Southeast Group today. We’ll be happy to sit down with you to discuss your search for commercial space and show you how leveraging technology can help you get there. To set up an appointment for a free consultation, contact our team today at 954.474.1776, or you can reach Ken Morris on his cell at 954.240.4400 or at kenmorris@morrissegroup.com.